The Most Scenic Running Routes in Washington D.C.
Washington D.C. is a city that never stops. Many locals walk, bike, and run to work, after work, and for fun in “America’s fittest city.” It probably helps that the capital is home to miles of scenic trails, spanning national parks, city parks, and river banks, all offering incredible views of the cityscape and beyond. Here are five of the best running routes to keep you moving. East Potomac Park is a man-made island in Southwest Washington, surrounded by the main branch of the Potomac River, the Tidal Basin, and the Washington Channel. Picnic areas, parks, tennis courts, and fishing all attract visitors, but runners are lured by the beautiful scenery. Exceptional views of the water draw runners all year long, who take advantage of the paved roads and sidewalks stretching the length of the scenic, three-mile route. If you start at the park entrance, continue to the tip of the peninsula at Hains Point and then loop back again, you’ll see a side of the city few visitors ever glimpse. 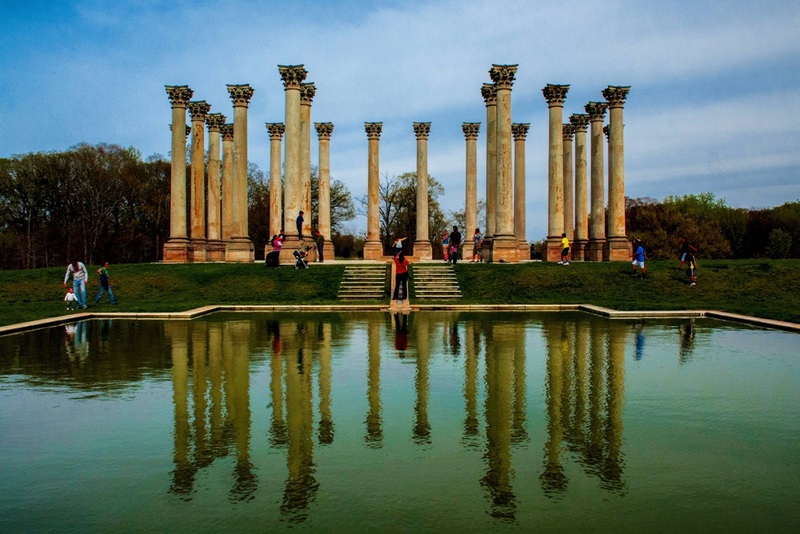 The U.S. National Arboretum is a sprawling botanical garden that’s off the radar of most runners, but its views and exceptional diversity of plant life make exercising here a feast for the eyes. Along approximately eight miles (13 kilometers) of easily traversed trails, you’ll pass formal Japanese gardens, open meadows, herb gardens, magnificent magnolias, pretty peony beds, and plants and tree from all 50 states growing across 400 acres. Although man-made, the iconic National Capitol Columns and reflecting pool is a great spot for a breather. And if you love flowers, schedule your run to coincide with what’s blooming with this handy calendar. If you’re a morning person, consider a sunrise run along the National Mall. As the sun creeps over the horizon and bathes the Washington Monument in a pale-pink light, the beauty of it will catch your breath. Stately museums and plush, green lawns complete the scene, and you’ll quickly realize why the National Mall is affectionately called “America’s front yard.” Flat, paved paths make it a breeze to run the four-mile route that loops around the museums, the length of the Mall and the Lincoln Memorial, past the World War II, Korean, and Vietnam memorials and the Constitution Gardens, and up to the Capitol. 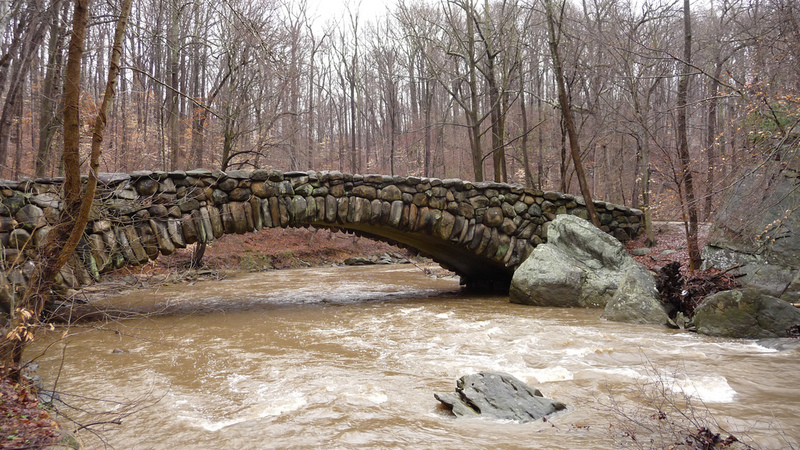 The largest and oldest urban park in the National Parks System, Rock Creek Park was established by Congress as a recreational resource for the nation’s capital. A natural respite in the heart of the city, the verdant park is home to 1,750-plus acres of incredibly quiet forests, gurgling creeks, stone bridges, and miles of running trails. The most popular is the Rock Creek Trail. The 10-mile, paved route follows the creek, passing the Smithsonian’s National Zoo, and then intersects with the Exercise Course (about 1.5 miles long) at the bottom of the hill at Calvert and Connecticut Streets NW. Finally, it connects to the C&O Canal Trail in Georgetown. A world away from D.C.’s urban landscape, Theodore Roosevelt Island‘s wild beauty and striking views of Georgetown make it a hit with families, nature lovers, and runners. Set in the middle of the Potomac River, the island was created as a memorial to the president in 1930. Back then, Mason’s Island (as it was called) was little more than abandoned farmland, until the National Park Service, with the help of Olmsted Brothers architectural firm, transformed the area to its original native habitat. Today, the urban escape is a fantastic spot to run, pounding along the two-plus miles of tracks that include the Swamp, Woods, and Upland trails.